Good Morning, Cozy Chicks Readers and Friends! 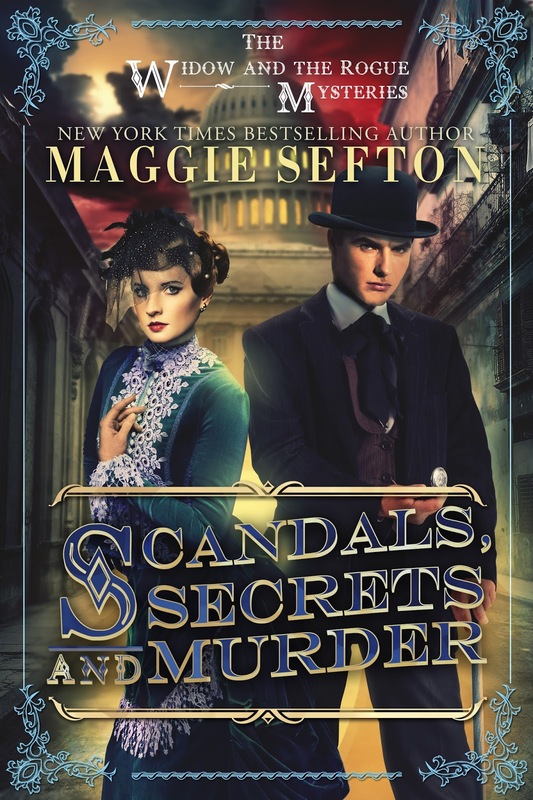 This is a Cozy Chicks Spotlight Saturday, so I am Spotlighting my Historical Mystery set in 1890 Washington, D.C. Check it out! Powerful and corrupt U.S. Senator Horace Chester is stabbed to death in a Murder Bay brothel, wrapped in the arms of his evening’s entertainment. His assailant escapes into the crush of unwashed bodies filling the streets of 1890 Washington’s notorious red light district just a few blocks from the President’s House. Amanda Duncan, wealthy young Washington widow, tries to ignore the clairvoyant visions that flash unbidden before her eyes. Since she couldn’t save her own family, perhaps her visions can help others. Now, Amanda turns her back on Washington society and deliberately treads where no respectable lady would dare. This latest vision was most troubling. She saw a man stabbed to death by a shadowy assailant and a young girl screaming. Devlin Burke, English investor and sometime sleuth, is in Washington on family business and to rescue his nephew Freddie who’s gone bankrupt in one of Sen. Chester’s investment schemes. In a rage, Freddie attacked Chester in a crowded Capitol Hill hallway only days before the senator’s murder. Freddie has no alibi and is now the police inspector’s prime suspect. Devlin and Amanda join forces in a search to find Senator Chester’s killer, which takes them from the Capital’s poshest salons into the crime-infested streets of Murder Bay. Devlin’s sleuthing instincts and Amanda’s psychic detection lead them ever closer to the truth. But the closer they approach, the more desperate the killer becomes---and the more dangerous.